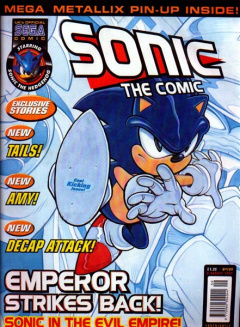 Sonic the Comic #109 the 109th issue of the Sonic the Comic series by Fleetway Editions Ltd. Though the change is not highlighted, issue #109 marks the point where STC stopped doubling up as a Sega magazine, dropping the video game chart segments and focusing a lot less on news. This page was last edited on 17 March 2018, at 09:53.